Obstructive sleep apnea (OSA) stems from interrupted breathing due to partially covered airways. OSA is the most common type of sleep apnea and often results in a plethora of symptoms. It may be helpful to familiarize yourself with some of these symptoms, as our experts will most likely address many of them upon your initial consultation regarding sleep apnea. These symptoms can interrupt your daily life and ability to function at work. If you feel extremely drowsy throughout the day, your chances of being involved in a car accident skyrocket up to 6 times the average. Furthermore, your sleep apnea can greatly affect the lives of your loved ones. Your bed partner may experience disrupted sleep quality due to your loud snoring. He or she may also worry about sudden pauses in your breathing during the night. For your health and those around you, it is worth seeking treatment and relief from your OSA symptoms. Our experts can recommend the proper treatment method based on the type and severity of your symptoms. When the walls of the throat relax, your airway narrows, and breathing becomes difficult or at times does not even occur. This is known as obstructive sleep apnea (OSA) and can result in inadequate breathing for up to 20 seconds at a time while you sleep. This can lower your blood oxygen levels and even disrupt proper brain function. If you have OSA, you may awake suddenly throughout your nightly sleep cycle in order to inhale and exhale properly. This is the result of your brain recognizing your impaired breathing and waking you up. It is possible the next morning you may not even recall awakening this way, as it happens so suddenly. Because OSA alters breathing patterns, it is a serious medical condition. Our experts recognize the gravity of sleep apnea cases and seek to provide patients with relief from the disorder and its symptoms. Depending on the severity of your condition, these little awakenings or apneas can occur anywhere from 5 to 100 times an hour and last your entire night of sleep. If you experience an apnea more than five times an hour, you should probably seek treatment for OSA. These recurring interruptions can lead to extreme daytime sleepiness and impair your ability to function throughout the day. Consult our experts if you think you experience an abnormal number of apneas throughout your average night of sleep. 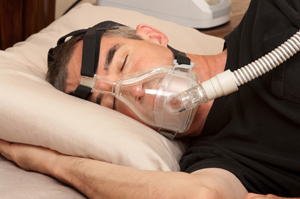 Obstructive sleep apnea (OSA) can occur as a result of one or more risk factors. Some of these risk factors are preventable, while others are part of your physical makeup and are unavoidable. Reducing your risk for OSA can oftentimes diminish your sleep apnea symptoms. Our experts generally recommend lifestyle changes to replace or supplement professional treatment. Weight. Statistics prove about half of people with OSA are carrying extra weight. Having a large, fatty neck can obstruct your throat and its airway, inhibiting your ability to breathe properly. Preexisting medical conditions. If you have high blood pressure, diabetes, or suffer from nasal congestion, you are at a higher risk for OSA. Gender. Overall, men are twice as likely to experience OSA. Race. Of those who experience sleep apnea under age 35, the majority of them are black. Age. OSA can happen at any age, but it most often occurs between the ages of 18 and 60. As you age, your chances for developing OSA increase. Heredity. If you inherited a naturally narrow throat, you may experience OSA more easily. If any of your family members have OSA, you are at a potentially higher risk yourself. Smoking and alcohol use. Smokers are at a greater risk for OSA, and alcohol consumption can often intensify the symptoms of OSA. If you have any questions regarding these risk factors and how they relate to you and your health, our experts can provide advice regarding prevention or treatment for OSA. Obstructive sleep apnea (OSA) is essentially a mechanical issue involving faulty breathing due to a blocked airway. OSA results in more than just diminished sleep quality. It can lead to more serious medical conditions like heart disease or stroke. Continuous Positive Airway Pressure (CPAP). This is the most common type of OSA therapy. It involves a mask placed over the nose during sleep. Pressurized air is pumped from a machine through the mask and into your upper airway to keep it open and prevent the occurrence of apneas, or frequent awakenings during the night. A lot of people find the required mask uncomfortable and seek other types of treatment. This discomfort can often be fixed by simply adjusting the straps of the mask. Expiratory Positive Airway Pressure (EPAP). This treatment, recently FDA-approved, involves placing a single-use valve over each nostril before going to sleep. The valve allows air to come in freely but requires increased pressure for exhaling, which ideally results in an open airway. If you find CPAP uncomfortable, this may be a good alternative. Oral devices. Wearing an oral appliance can keep your throat open and allow for easier breathing during the night. Our dentist can help fit you for a device. For extreme cases of OSA, nasal, jaw, or other types of surgeries may be required. Consult our expert in sleep disorders for the best way to treat your OSA.